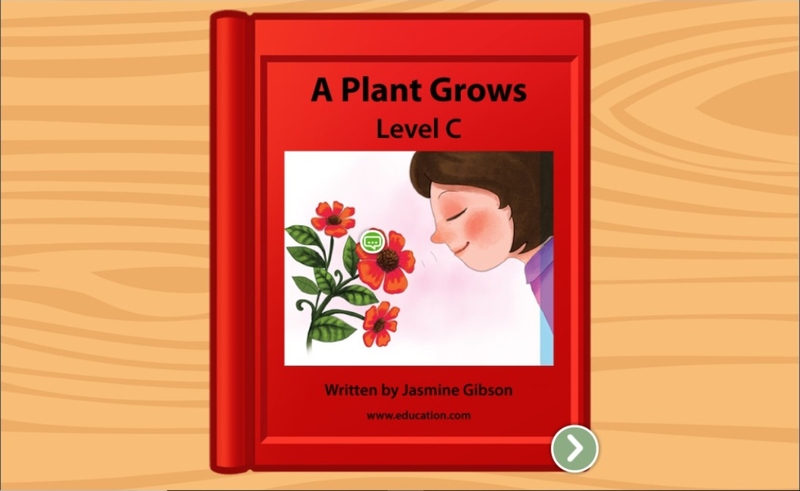 Students will be able to describe how a seed grows into a plant. Gather your students where they can see you. Show students the cover of The Tiny Seed. Invite your students to recall or guess what the story may be about. 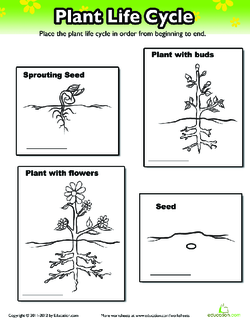 Tell your students to pay special attention to how the seed grows into a plant. Read the story while pausing to note what happens to the tiny seed during each stage of its journey. After reading the story, summarize the growing stages of the tiny seed. Explain that many plants begin and end in similar ways. Explain that a cycle is something that repeats over and over again. Explain that a life cycle of a plant is when something begins with a seed, grows into a plant and then makes more seeds. 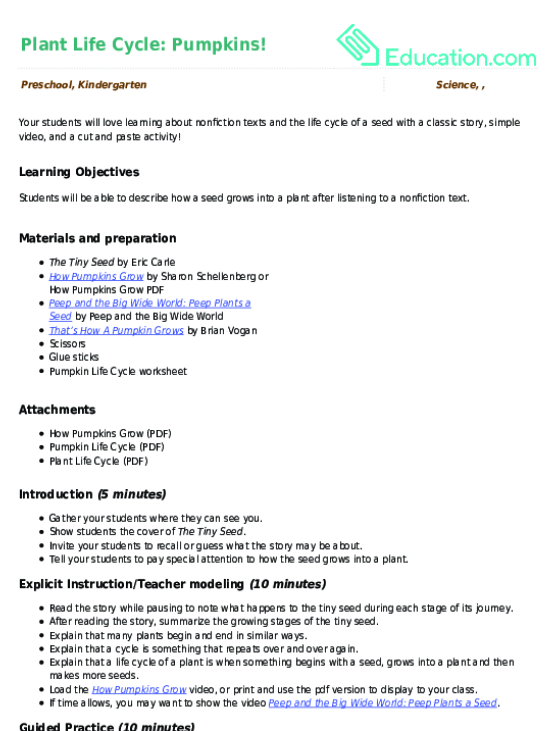 Load the How Pumpkins GrowVideo, or print and use the pdf version to display to your class. If time allows, you may want to show the video Peep and the Big Wide World: Peep Plants a Seed. 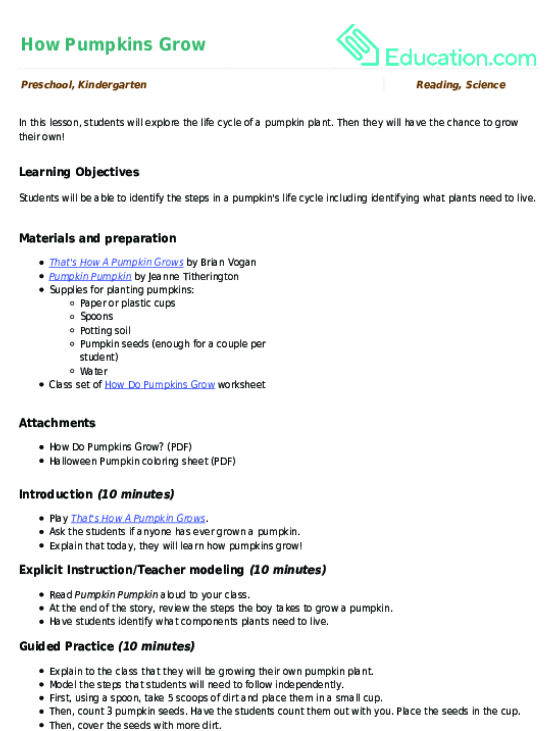 Hand out the Pumpkin Life Cycle worksheet. Tell your students to sit in a circle with the worksheet on the floor in front of them. Tell your students that they will be cutting out the pictures and gluing them in the correct order on the worksheet. Go around the circle of students to give every student a chance to describe a picture and where it will fall in the pumpkin life cycle. Continue this practise by telling your students to point out the pictures from first through last in the cycle. 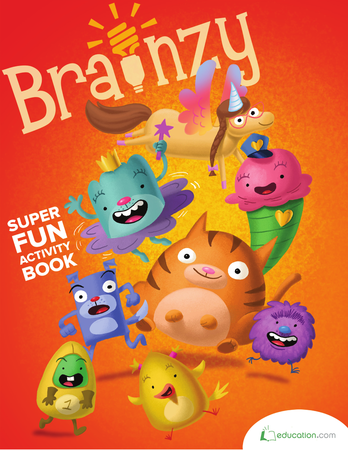 Instruct your students to cut the pictures out and glue them in the correct places. Tell your students to lay out all of the pictures first before gluing! Dismiss your students to work in their table spots. Go to each student as they finish and ask them to describe the parts of the cycle on their worksheet. Enrichment:Advanced students who finish early may continue with the Plant Life Cycle worksheet included in this plan. Support:Some students may need extra time to complete the assignment. 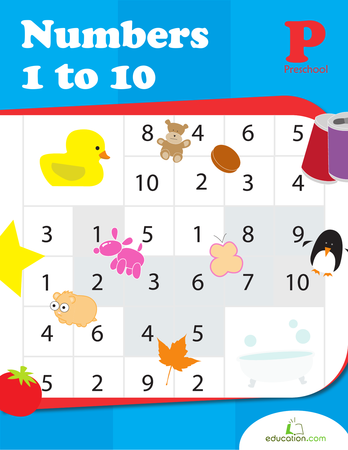 Some students may need visual and verbal clues to help them finish the worksheet. 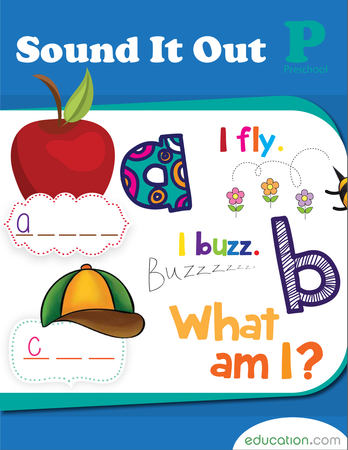 During Guided practise: Look for students who are pointing at the correct picture on the worksheet. 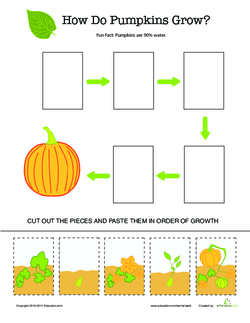 During Independent practise: Your students should be able describe the pictures in the life cycle of a pumpkin. Ask your students to describe what happens to a seed. Ask your students to name what needs to happen for a seed to grow. Invite your students to name one thing they learned in today’s lesson. If time allows load and watch the song That’s How A Pumpkin Grows. Compliment your students on their hard work! 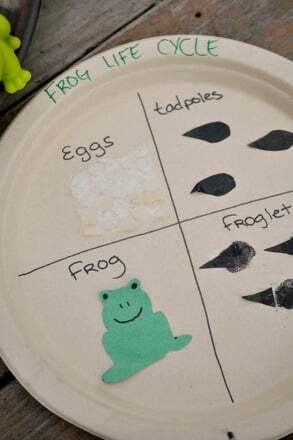 Here's a simple craft activity that can help your youngster better visualize the life cycle of a frog as a circle. 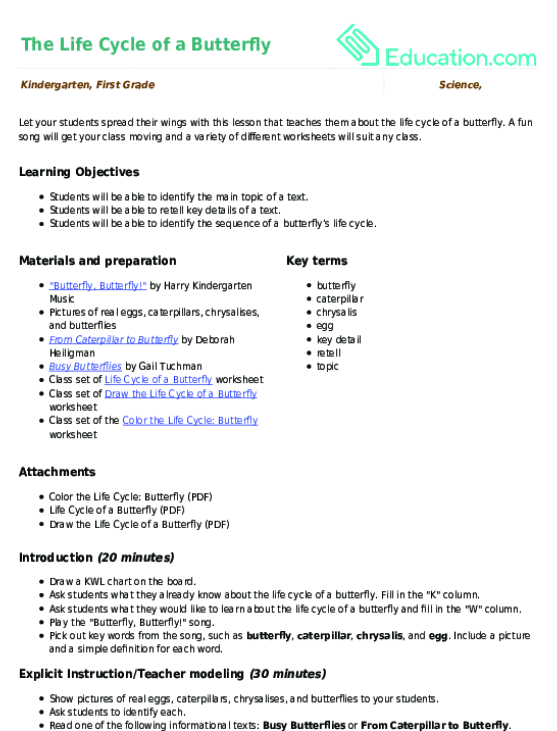 Let your students spread their wings with this lesson that teaches them about the life cycle of a butterfly.